Holiday apartment 255477 Bright 2 rooms, kitchen, bathroom, 65m² old apartment in Chapter 4. OG(!! Suitable without frame and thus also for tall people) quiet bedroom with 2 x 1. Holiday apartment 256317 The apartment of 70 square meters is situated very quietly on the first floor in the grounds of a five story house with high original ceiling of 3 ½ m, no elevator, with a balcony and nice view on the garden. Holiday apartment 256622 A nice summer house apartment for all seasons! During the summer comfortably airy. During the winter snug and warm. The 58 sqm apartment is bright, functional & equipped with high quality. Holiday apartment 268721 'Kant and castle 'is a very pleasant 2 room apartmentwith romantic furniture and a little balkon in front. Holiday apartment 269055 The apartment offers 36 sqm, a well lit living / sleeping area with open kitchen, a small dining area and a daylight bath with whirlpool tub and a small balcony.For comfortable sleeping a luxury double bed (Sealy Eden) is the size of 1.80 x 2. Holiday apartment 275591 This is how we would describe our apartment in a few words:Inside: sitting on the balconyOutside: something for everyoneOur apartment Suarez is located in the central and beautiful Charlottenburg area. Holiday apartment 276168 This is how we would describe our apartment in a few words:Inside: basic comfortOutside: loads of shopsOur apartment Kant Basik is located in the central and beautiful Charlottenburg area. Holiday apartment 276854 Berlin is always worth a visit and anyone who has desire, during his holidays compromising on comfort and quality. Kaiser Apartments Berlin Charlottenburg price per day from €71 Kaiser Apartments Berlin Charlottenburg offers a modern apartment with free Wi-Fi in the lively Stuttgarter Platz area of the city. It is a 5-minute walk to the Kurfürstendamm shopping street. 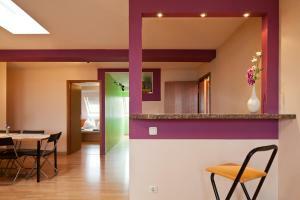 Designed using bright colours, the apartment is equipped with a flat-screen TV and washing machine. 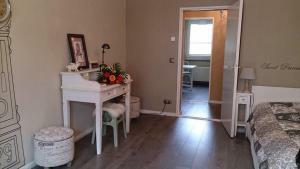 There are 2 bedrooms, a fully equipped kitchen and a laptop is available on request. The central district of Mitte can be reached inside 15 minutes on public transport. Restaurant Focaccino, Berlin Guest reviews: 9,4/10 ~ 0,5 km from Quentin Boutique Hotel Address: Stuttgarter Platz 16, 10627, Berlin. Restaurant Bragato Vini & Gastronomia, Berlin Guest reviews: 9,8/10 ~ 0,8 km from Quentin Boutique Hotel Address: Dahlmannstrasse 7, 10629, Berlin. Cuisine: Italian. Restaurant Karun Bistro 1, Berlin Guest reviews: 9,6/10 ~ 1 km from Quentin Boutique Hotel Address: Pestalozzistrasse 26, 10625, Berlin. Restaurant Schlossgarten, Berlin Guest reviews: 9,2/10 ~ 1,2 km from Quentin Boutique Hotel Address: Schlossstrasse 64, 14059, Berlin. Cuisine: German. Restaurant Ristorante Caffe Bocconi, Berlin Guest reviews: 9,2/10 ~ 1,6 km from Quentin Boutique Hotel Address: Schlueterstrasse 74, 10625, Berlin. Cuisine: Italian.